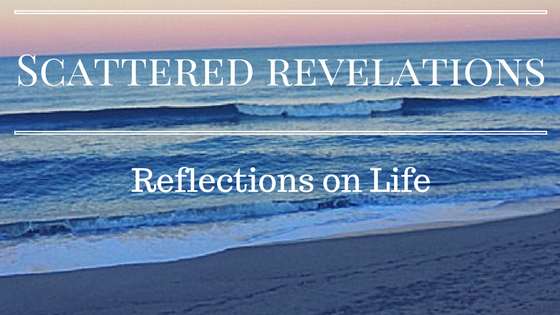 I preached this sermon on Sunday July 27, 2014 at the Unitarian Universalist Congregation of the Outer Banks. The month of Ramadan, the ninth month in the Islamic calendar, is about to come to an end on Monday evening - it ends with the sighting of the crescent moon. As we begin to dive deeper into understanding of Islam and fasting let's begin with some basic facts about Ramadan and Islam. Islam runs on a lunar calendar like Judaism. Unlike Judaism, Islam does not add leap months to keep the holidays at approximately the same time of year each year so Ramadan can occur during any season of the year. Fasting during the month of Ramadan is an obligation found in the Qur'an and is one of the five pillars or obligations of the Islamic faith. The other four pillars or obligations are Shahadah - belief that there is only one God and Mohammad is his messenger, Salat or ritual prayer 5 times a day; Zakat to give 2.5% of one's savings to the poor and needy and to make a pilgrimage to Mecca once in one's life if one is able. Ramadan is a festive and sacred time, a time of both solitary practice and communal celebration. While each person conducts the fast individually, families and communities gather before sunrise and sunset to share a meal. The breaking of the fast each evening, iftar, is a celebratory meal that by tradition begins with the eating of dates. 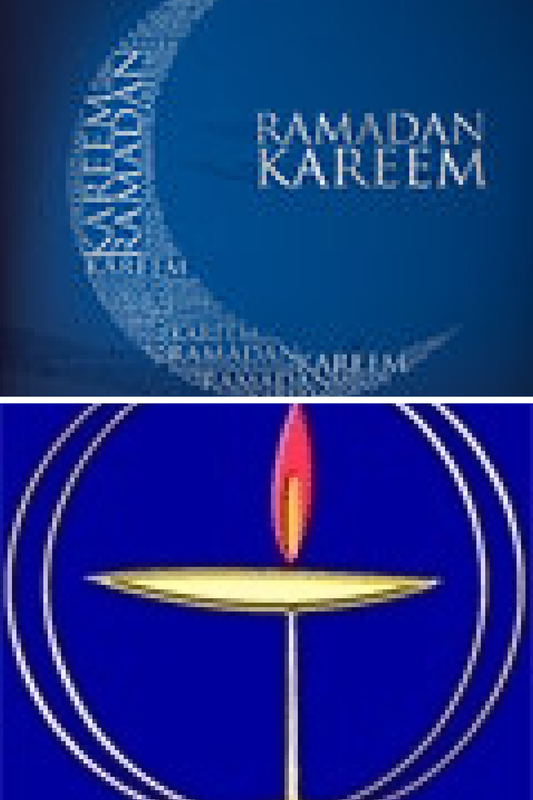 As I was preparing for this Sunday I once again consulted with friends on Facebook about what they would want all of us as Unitarian Universalists to know about Ramadan. My friend Kim, who is not Islamic herself but her husband and sons are and she fasts with her family during Ramadan, wrote " Ramadan is a beautiful spiritual practice. It's time set apart for contemplation, communion with God, focus on family, and a deepened empathy with those who regularly go without. It should not be practiced with emphasis on the sacrifice, rather with great appreciation for the abundance in our lives! It does take effort and it can be difficult, but that makes it all the more meaningful..."
Another, Ali Faruk from Virginia Commonwealth University in Richmond, VA offered me his sermon called "Keeping Your Soul Happy." During Ramadan the body fasts so that the soul can be fed. He preached "I encourage myself and I encourage you to pay careful attention to our souls. I remind myself and I remind you to never fall into the temptation of feeding our bodies in an attempt to satisfy the soul. I remind myself and I remind you to always be diligent in our worship, because in our worship (ibadah) as a metric, as a measurement for the health of our soul and the need to bring our lives back into balance." It can seem contrary to us here in the west to think of fasting all day everyday without even water as being celebratory. In a culture that often glorifies excess and impatience in getting one's needs and desires met, fasting all day can seem overwhelming and we wonder why would anyone do it. Yet fasting is a central spiritual practice in most if not all the world religions. Judaism has six days of fasting during the year - not just Yom Kippur. The second most important fasting day within Judaism was July 15, overlapping this year with Ramadan. It marks the destruction of both the first and second temples and falls within a three week period of mourning. While within Christianity the practice has been greatly diminished, it is a part of the tradition. Roman Catholics fast only a couple of days out of the year by consuming only one full meal on Ash Wednesday and Good Friday and abstain from meat on those days and every Friday during Lent. Fasting is a long standing spiritual practice throughout the world. Both Islam and Judaism exempt the children and those who are ill or pregnant from the obligation to fast. If a person is not well and cannot fast on a particular day during Ramadan, they can make up the day of fasting when they are well. In our very individually oriented culture it can seem strange to us to be connected with communities around the world. I have to say one of the things I miss about being Roman Catholic or even Episcopalian was the being part of a worldwide religion. I remember going to Mass in Switzerland during my post-college whirlwind Europe trip. I didn't understand a word of the liturgy yet I was welcome there, I belonged. It didn't matter that I could not say the responses or sing, I was within my faith community, these were my people. Spiritual practices like fasting build a sense of community through common practice. Muslims around the world are fasting together during this month. I would imagine that fasting on one's own for even one day would be challenging without support and nearly impossible for a month. Yet a sense of being part of a worldwide practice, the knowledge that one is in community with people around the globe would be inspiring and motivation to keep going. It is also a sense of tradition, in which each one is connected with all those who are presently fasting and with all the generations of Muslims who have gone before. Also each night the fast is broken in community, in prayer. The day of fasting is celebrated with a common meal, giving something to look forward to after a long day. Like Nasrudin in our story, who longs for the delicious feast awaiting him and even more the connections with others, to be in community after a hard day of work and fasting. While we do not have a strong tradition of shared practice and even a certain disdain for tradition, this is slowly changing. Over time we as UU's have developed more of a sense of shared practice - things like the symbol of the Chalice and lighting a chalice during worship and at meetings; the flower communion and water communion. We have discovered a power in shared ritual and practice. So let us turn our attention to submission. Submission is a notion that we both as Americans and as Unitarian Universalists struggle with. After all it connotes a relinquishment of free will and thought. It can bring notions of blind obedience to authority like the colonies before the American Revolution. Yet in Islam submission is not to secular authority, it is submission to the Holy, to the Spirit. Yet we religious liberals, we who do not have a sense of shared belief, many of us having no belief in a transcendent deity, struggle with the notion of submission. Our sense of faith instead is in humanity, in human action, in not submitting. Submission, as I see it, is the understanding that we are not in control. It is the acceptance that things happen outside of our control and no matter how much we may plan and prepare, life will happen. These can be unexpected gifts of joy and unspeakable sorrow. Right now there is plenty going on in this world that we here may feel like we have very little control of. The on-going conflict in Gaza, the kidnapping of school girls in Nigeria, Ukraine, poverty and on-going inequality here in the United States, the gridlock of our political system, the arrival of unaccompanied children at the borders of the United States fleeing violence and poverty. Now these are not the actions of a transcendent deity and yet they are also not actions of any one person. Rather they are the collective results of many choices and lack of choices. Submission reminds us that we are not in charge, not in control. It is that sense of transcendence and awe that comes with staring into the night sky and realizing that we are one small dot in a large and amazing universe. Submission is that acknowledgement and amazement that life exists, that we live and breathe and love and none of that happens because we made it happen. There is a freedom and rest in submission. Throughout the Hebrew and Christians scriptures there is a call to submit, to surrender. There is longing from the writers for rest, to set down the burden. When we set down the burden, in a paradoxical fashion we have more to give to helping fix it. If I let go that I am in control, then suddenly I can be freed to act. If I accept that I cannot do everything, then suddenly I am free to do what I can, to use what I have to help. If I stop, set down the burden and look up, I can once again be blessed by the amazement of creation, of the world and universe around me. For Muslims, Ramadan sets aside an entire month to feed the soul, to focus on surrender and submission. In submitting to the obligation to fast, there is an opening to slow down, to pay attention, to intentionally gather together in community. As Eboo Patel tells us in our reading, the fasting requires him to slow down, to stop going at "mach speed." To do something we do every day, often with little attention, to do it intentionally, with care. In going without food, one can remember those who do not have a choice but to go without. The discomfort brings home the discomfort experience daily by those who fast not by choice, not as submission but who have no choice. It is also an embodied practice - fasting means we are disciplining the body for the sake of a larger purpose. This is similar to those who fast for justice causes - like the recent Fast for Immigrant Families. In choosing to intentionally fast whether for religious or justice reasons, we embody the practice. It is not just in our heads, it is not just about reason, it is now in our bodies. For Unitarian Universalists this is a growing edge. We are a rational, heady people and that is a gift. It is a wonderful thing to use the gift of our minds and intellect. Yet we often struggle with being embodied people, with being human with feelings and desires. James Luther Adams, UU Theologian and Minister, pointed this out as the greatest flaw in liberal religion - that human beings are not simply rational creatures. For fasting is not rational - there is no rational reason to deny the body food and drink everyday for a month. Oh we may fast for 8-12 hours for a medical test or surgery. Yet on the surface, fasting makes no rational sense. Yet throughout the world, people fast intentionally for religious and justice reasons. They may fast for a day or a month. Prisoners have fasted to protest unjust imprisonment or treatment. As the month of Ramadan comes to an end, as the month is closed with feasting and celebrating throughout the world, let us reflect on what we may have to learn from Islam. What might shared spiritual practice look like within our faith community? What might submission mean for us? I will close with the words of Sarah Sayeed: "This Ramadan, may we strive to be as fully present as possible, experiencing our physical hunger and thirst as the soul’s yearning for divine nourishment. May we find new meaning in our daily prayers and be refreshed by extra supplications. May Muslim communities be as the flowering trees of well-tended orchards, growing in abundance the fruits of patience, kindness, compassion and love." May all our communities be as the flowering trees of well-tended orchards, growing in abundance the fruits of patience, kindness, compassion and love.